Snake charmers, steamed snails, storytellers, goats’ heads, endless rows of slippers and speeding motorbikes — all shrouded in smoke and offering a tantalising taste of Africa. Welcome to Marrakech. The city can appear overwhelming at first but doesn’t have to be that way. 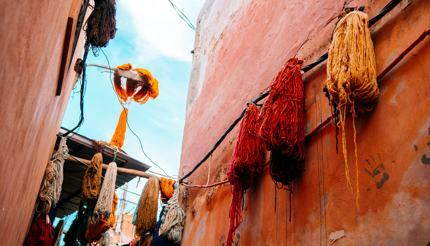 You can explore the city of spice and its surrounding areas leisurely, and for some useful tips, here are the the top tips on how to spend seven days in Marrakech. Morocco is only one hour ahead of London, but a world away in sights, smells and sounds. A taxi from the airport to your hotel isn’t likely to put a huge dent in your spending money as a comfortable private transfer can be as low as US$7.80 or £6 each way. Many hotels in Marrakech are grand affairs. For old-school elegance, take the lead from Sir Winston Churchill, Franklin D. Roosevelt, Charles de Gaulle, and Nelson Mandela and head to La Mamounia. Other luxury choices include La Maison Arabe Marrakech and Les Jardins de la Koutoubia. If you’re watching your pennies or would like something in the mid-range, check out the Marrakech hotel guide. To get your bearings, venture to Jemaa el-Fna and wander around the souks at the square’s northern recesses — but don’t be tempted to buy anything just yet. Haggling in Marrakech is an art. To get an idea of what you should be paying, it’s a good idea to visit the fixed price Ensemble Artisanal on Avenue Mohammed V.
Afterwards, get lost within the old town’s terracotta walls but don’t get agitated by the frenzy of sounds, vehicles, or even locals offering directions (forgive our cynicism, but they aren’t doing it out of the kindness of their hearts). When it all gets too much, find a romantic spot on a rooftop terrace around Jemaa el-Fna, order a glass of freshly squeezed orange juice and watch the crowds from above as the sun goes down. Moroccan food is now the culinary star of Africa, so join the cause and enrol in a cooking class. There are many classes available to book online and prices often start at around US$52 or £40. If you’re able to move after your feast, there’s always something more to see in the old town. 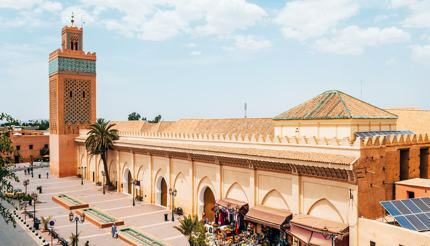 Head to some of Marrakech’s main attractions such as the beautiful centre of Quranic learning (Ben Youssef Medersa), the mind-boggling Palais de la Bahia, and the stork-infested Saadian Tombs. For more information, see our Things to see in Marrakech guide. Ben Youssef Madrasa, Marrakesh, Morocco. In the evening, eat at one of the food stalls brought out to fill the square at sunset. Choose a colourful array of food from the disturbing to the comforting, anything from goat tongue and snails to kebabs and fried aubergine. By now, you’re probably ready for a break from the hustle and bustle, so head to the Atlas Mountains you’ve been admiring across the rooftops from your hotel room. Many companies run trips to the mountains, desert, and coast, ranging from one-day to several weeks. They can tailor-make your trip, or you can join a pre-arranged tour. 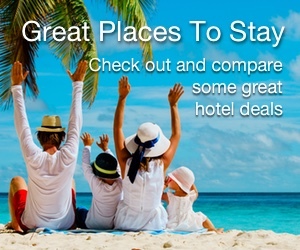 Alternatively, most hotels can arrange something for you too. 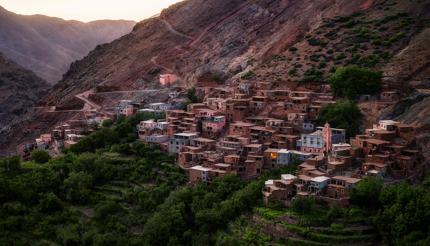 Imlil is about an hour’s drive away in the High Atlas and is the starting point for some scenic trails twisting through the cosy Berber villages. If you visit in winter or early spring, the mountains are still covered in snow — an absolutely breath-taking sight. 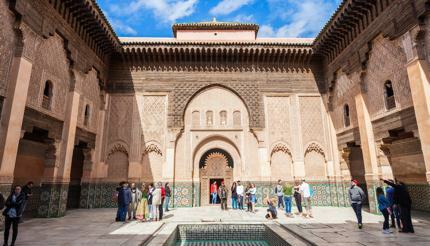 Apart from the Atlas Mountains, there are other trips listed on this Marrakech tours and excursions page which may help you plan. After all that exercise you’ll need a hammam — similar to Turkish bath, but with a Moroccan twist. The basic package is a gommage: a rigorous scrub-down with a rough glove and black soap. Public hammams don’t hold back — so go armed with a towel, plastic flip-flops, a change of underwear, and gritted teeth. 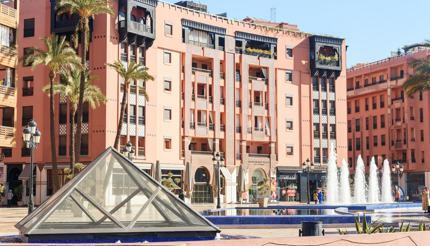 Later, walk to the very edges of the souks, away from the touristy tat surrounding the square. Souk Sebbaghine, the Dyers’ Souk, is filled with fluttering threads of freshly dyed wool. Other worthy diversions include Criée Berbère (carpet souk), Souk Haddadine (blacksmith), Souk des Bijoutiers (jewellery) and Souk Smata (traditional leather footwear). Round off your pamper day with cocktails in a piano bar. La Mamounia is home to the most celebrated Le Churchill, named after its most famous patron. Closer to the medina, Les Jardins de la Koutoubia serves beautifully-presented cocktails to the sounds of a baby grand piano. 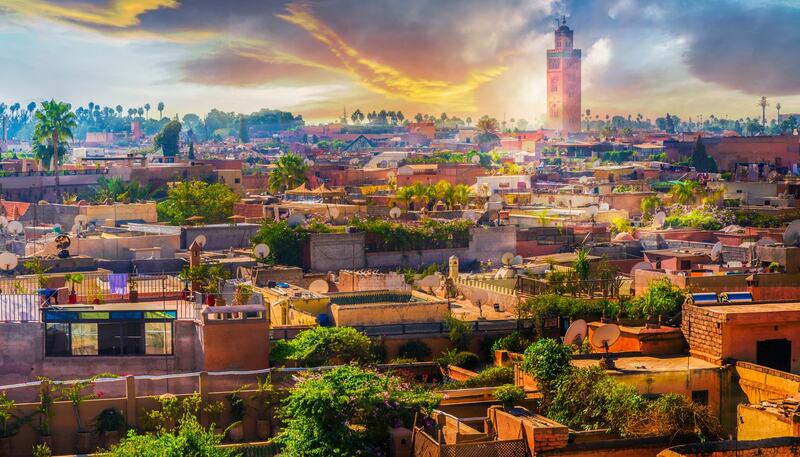 There is more to Marrakech than souks and snake charmers. Explore beyond the ramparts to the districts of Gueliz and Hivernage. You’ll find plenty of boutique shops favoured by well-heeled locals and those who can’t be bothered to haggle. There are also lots of street-side cafes and elegant bars, plus nightclubs that pull in upper-class crowds. 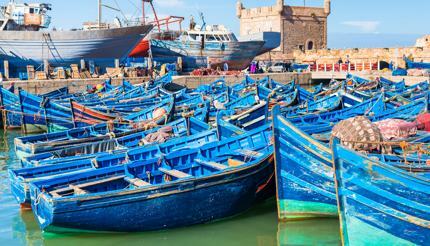 Follow in the footsteps of Janis Joplin and Jimi Hendrix and visit Essaouira on Morocco’s southern coast. It is a picture-perfect coastal town with blinding whitewashed walls and rolling Atlantic breakers. Obviously, stoned 60s rockers weren’t the primary influence on this town. The Berbers, Carthaginians, Portuguese, English, Bambaras, and Jewish all played their part. 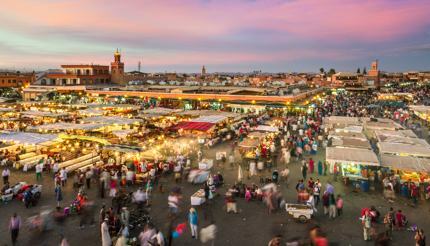 The Medina is a Unesco World Heritage Site where local artisans create and sell their wares. The soft sandy beach is a world away from the manic of Marrakech and a great place to stretch those legs unhindered by touts and careless motorcyclists. It’s your last chance to pick up all those bargains you’ve been eyeing up over the previous six days. Visit this useful Shopping in Marrakech guide for more information. If you’re all shopped out, head to the Marrakech Museum or the Yves Saint Laurent Museum. It’s unlikely that Koutoubia Mosque has escaped your attention, but if you haven’t yet seen it up close, then enjoy a walk in its beautiful gardens and listen out for the call to prayer. Before it’s time to head home, take the time for one last mint tea in that unforgettable square.